Kael was born with a rare and complex congenital heart defects, Taussig-Bing Anomaly. He has had 14 surgeries and/or procedures, including 3 open heart surgeries. His first one at 8 days old, 2nd at 5 months and just this past Jan., Kael had his 3rd. Kael has had over 20 surgeries and procedures all at the Children’s Hospital. None of this slows him down! He just entered the 5th grade. He enjoys playing baseball and listening to music. His favorite band is The Beatles and Imagine Dragons. Our story begins in 2002 while my husband; Jason and I were stationed at Schofield Barracks, Hawaii. A year later, we became pregnant with Kael. When I was 5 ½ months, we learned that our son had a rare and complex Congenital Heart Defect known Taussig-Bing Anomaly, (Double Outlet Right Ventricle, Ventricular Septal Defect, Atrial Septal Defect, Transposition of the Great Arteries) and Pulmonary Stenosis. The nurse/doctor informed us that Kael needed to have surgery right after birth. The facility in Hawaii was not able to handle this type of care. The Cardiologist gave the option to go to San Diego. Since we had family and friends in Nashville, TN, I researched Vanderbilt Hospital and if Kael’s surgery could be performed there. I gave the acquired information I found on Vanderbilt to our Cardiologist in Hawaii and took leave to visit the facility to determine if Vanderbilt was capable of handling the care Kael would need. After his research, we received orders to move to Nashville, TN. 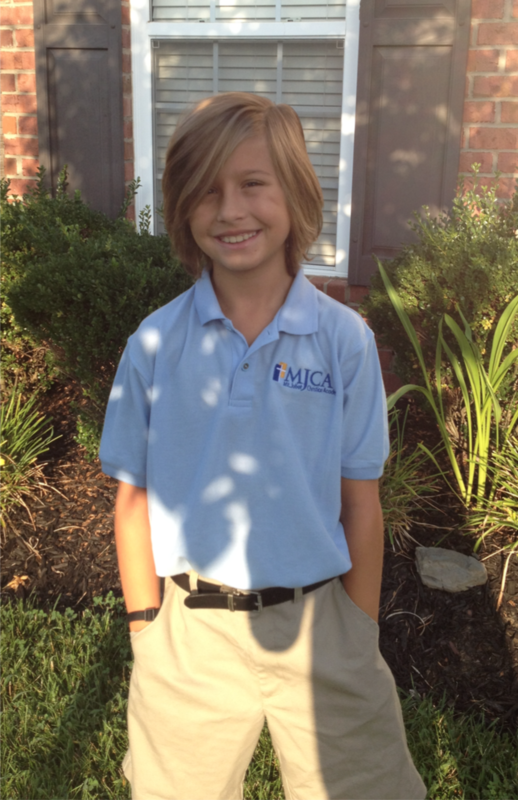 Kael started his care at Monroe Carell Jr Children’s Hospital at Vanderbilt. He was born February 18, 2004, just 2 weeks after the hospital was built. He was the first patient in his pod on the Neonatal. Kael had his 1st open-heart surgery, (Arterial Switch, closure of the VSD, all for DORV), at 8 days old. Fortunately, Jason, my husband was able to be there for Kael’s birth and first surgery. Unfortunately, my husband was deployed to Afghanistan soon after Kael’s surgery. At this point I relied heavily on the staff at the hospital, my family, and friends for support since my husband was deployed. All of our items, including our car were still in Hawaii, and I was living with my parents 50 miles away. Kael was in and out of the hospital during the first year. At 5 ½ months, he had a 2nd open-heart surgery, (patch on his upper Pulmonary Artery). I had to fight to get my husband home for this. Jason was able to come home for the actual surgery, but had to leave while Kael was in the hospital. Kael became very ill. The doctors were not sure what was wrong. Again, the staff was so understanding, comforting, and informative as Kael was going through multiple tests. His Cardiologist seems to think that his little body just had enough. He had gone through 2 open-heart surgeries, 3 angiograms, colonoscopy, upper GI, pic line, and central line all before he was 6 months old. In January of this year, Kael had his 3rd open heart surgery. To date, Kael has had over 20 surgeries and/or procedures all at the Children’s Hospital. He celebrated his 10th birthday in recovery. I am happy to report the surgery was a success and Kael’s heart is working beautifully. At this moment, he has no restrictions and can play sports! Such a great victory! However, our journey is not done. Kael will never be “cured.” He will always have surgeries in his future. Even though we know we have a long road ahead, the relationship that we have with Monroe Carell Jr Children’s Hospital at Vanderbilt surpasses my expectations of a great hospital. Kael is never afraid to walk through those doors. He genuinely loves his Cardiologist and nurses. As a parent, I feel having that relationship is just as important as having world-renowned doctors. It continually for this reason my husband and I fights to stay here. As a military family that fight never ends, but we feel so strongly that this is the best place for our son. Kael is now 10 1/2 yrs old and ALL boy. Despite everything he has gone through, we have had many triumphs. He is the smartest little person I know. He is the greatest gift we have ever received. We chose the name Kael because it means mighty warrior and he is by far the most courageous warrior I will ever have the pleasure of knowing.